Libbie Club is quite new, it's like having a press sample box delivered to your door. Bloggers can apply to received a free box of goodies each month. Buy signing up you also receive exclusive discount codes and offers to share with fellow bloggers and friends. Firstly I need to mention the colour, I adore it! It's a periwinkle blue, which is perfect for summer. It took two coats to get a nice even, opaque finish, but this is standard for most nail polishes. I'm eager to see what other colours are like in the range. This was the product I was most excited about. It's a facial mist designed to calm and refresh you. It has a relaxing scent created by a fusion of essential oils and it's actually blessed by a Reiki! I love sprays like this; after a long day staring at a screen in work, a mist of this just brings me back to life and refocuses me. I'd love to try some of the bath products from this range too, bring on the relaxation! This is very similar to the Liz Earle Cleanse and Polish, it's super creamy and lovely to apply. It melts make-up and leaves your skin feeling super soft. I don't have one bad thing to say about this cleanser, a great alternative to the Liz Earle one. Do you like the sound of these products? This sounds fab, I'll have to look into it :). I love facial mists like the one above too. 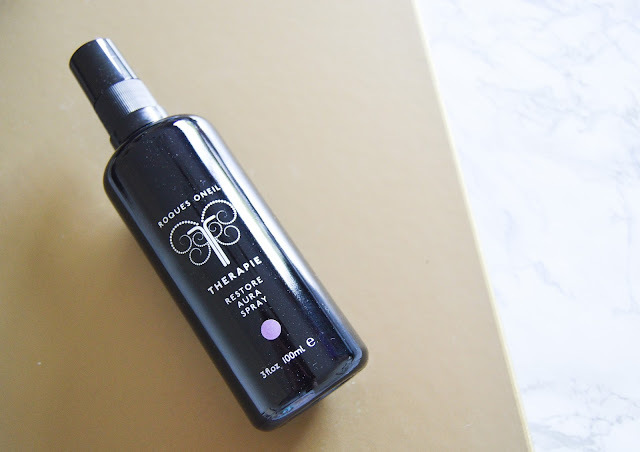 I'm using the toner mist from Trilogy at the moment and it's gorgeous!! It reminds me of the Caudalie Beauty Elixir...that lovely essential oil/herbal smell. The cleanser and cloth looks fab too. That's my fave way to cleanse, using a cream cleanser and a hot cloth. I use the No7 one :).